Blog - First Look! 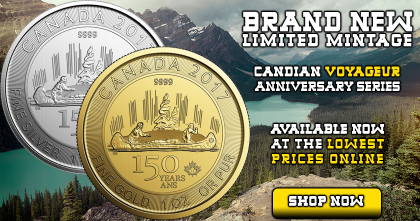 Brand New, Limited Mintage Release From the Royal Canadian Mint! The Royal Canadian Mint is known for coins of the highest quality. Its gold and silver pieces are both beautifully designed and superbly crafted. For this reason, every new RCM release is an important event in the coin and bullion world. The new Voyageur gold and silver coins – which were just introduced today – are no exception. 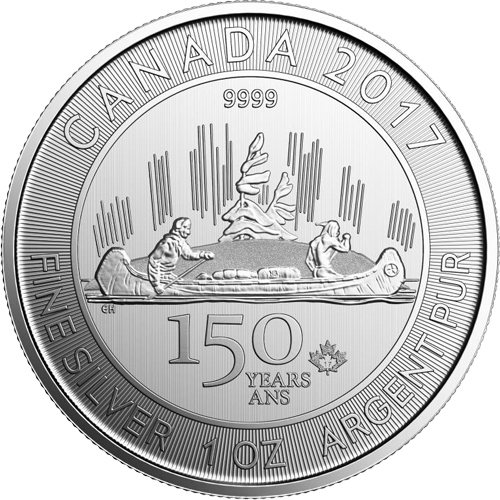 The Voyageur design might be familiar to you; it first appeared on Canada’s circulating silver dollars. It features a voyageur and Native person paddling a canoe in tribute to the fur trade. This industry was vitally important to Canada and evokes thoughts of the county’s vast frontiers. Now, this iconic design returns in the form of a stunning new bullion coin. The gold version boasts a purity of .9999 fineness and is delivered in a tamper-proof assay card (much like the 2017 Gold Elk). 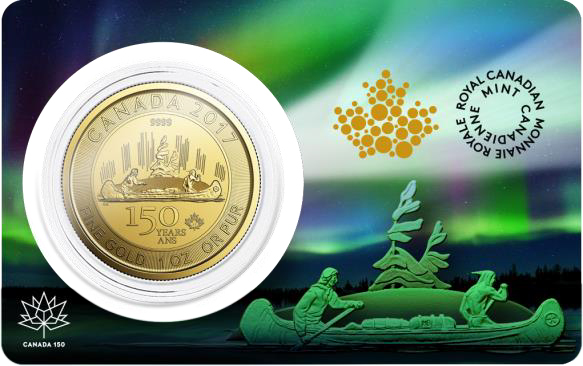 This special coin is much scarcer than a standard 2017 1 Oz Gold Maple (only 15,000 Voyageur gold were made) but is priced at just a modest premium. The 1 oz silver Voyageur is also .9999 pure. Much like the 2017 1 Oz Silver Maple Leaf, it is packaged in RCM tubes of 25 pieces. Quantities of 500 coins are shipped in a “monster box” with a special security seal and a custom box label. The Voyageur gold and silver coins are limited-edition special releases. They do not exist in large quantities like gold and silver Maples. Very few of these pieces were released to RCM’s dealer network and they may become hard to find. If you’re interested in adding these to your collection or portfolio, I encourage you to lock in early. I doubt we’ll be able to get more once this initial batch is spoken for.